Art Design What Does Luxury Mean To A Hotel Designer? What Does Luxury Mean To A Hotel Designer? To craft an interior that stands the test of time requires mindful attention to detail and space planning. It’s more than just the choice of finishes and materials that matter— it’s also as much about the quality of the experience that the space can deliver. 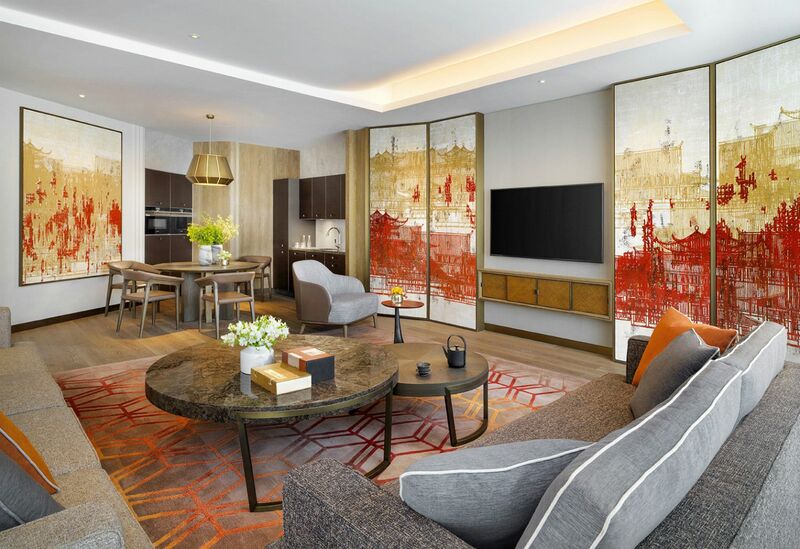 Specialising in luxury hospitality projects and residences, the practice was founded by principal partner Lim Hong Lian as HL Associates in 1991. Headquartered in Singapore, the firm has worked extensively on hotels and resorts across Asia. Here, she shares more about the firm’s recent projects and the key qualities of a well-designed hotel. Tell us about the creative dynamics of your team. Teo Su Seam (TSS) HL has been in the industry for the last 35 years, so he’s very experienced and well-connected. He gives a lot of guidance and advice in space planning as he’s architecturally trained. I focus on the details of putting everything into place and the colour scheme, and I think it’s a good balance. We try to foster an open environment, where there’s a lot of sharing and cross-pollination of ideas from everyone—there’s no dumb idea. I like to challenge the team and to cultivate open discussion. What are some of the most memorable projects you’ve done? TSS Four Seasons Hotel Seoul is one. While I’m proud of every project but this one particularly holds true. We wanted to do a pavilion at the lobby area and were faced with a lot of initial opposition from the owner and hotel operator—it took us a lot of conviction to show them the creative possibilities of the space. In the end, we created a pavilion-like room at the lobby that was fairly light in terms of its colour palette, with a lot of pastels because it’s inspired by the Joseon dynasty in Korea. Another notable project was the Kohler Experience Centre, and it’s our one and only retail project. When you walk in, you feel like you’ve walked into a museum that explains the brand’s history. Each of the rooms has a different theme; it’s not just a way for the firm to showcase the wide range of designs, it also lets customers experience the fittings in themed settings, which are really the stars. The end result is kind of like Dover Street Market, a multi-label boutique at Como Dempsey in Singapore. If they can do that with fashion, why can’t we do the same with faucets? For the Shangri-La Resort in Yunnan, we wanted to bring the cultural experience inward. Instead of having a crystal chandelier at the lobby, we used oil lamps, which come together to create a massive sculpture. We also added big drums that became a reintroduction of the culture inwards. The sense of place is also brought in through Tibetan motifs in the art and wall coverings and artefacts, and reinterpreting how they are used. TSS In today’s context, less is more. To me, luxury is about designing a truly user-friendly experience for the guest, while focusing on the details. In the past, everyone tries to hide all of the switches. Now it’s back to the basics: I want to be able to see the buttons instead of hunting the whole suite for them. It’s also about the soft touches that we put inside the room, such as the choice of bed linens. "To me, luxury is about designing a truly user-friendly experience for the guest"
In your opinion, what are the qualities of a well-designed hotel? It isn’t solely about interior design, it’s also about the service and sense of place. Usually the design is based on the inspiration of the culture, through the materials and artworks selected. For instance, instead of buying a Ming vase, we could create something inspired by it to create a good mix of past and present. So people can see that there’s a progression between the past and the future. We always make sure there’s a dialogue between all parties; it’s also about realising the owner’s and the hotel operator’s vision.